Citrus Heights, CA (MPG) – On a beautiful sunny morning another promising addition was launched to Citrus Heights. In an area where there is an ever-growing need for quality senior care facilities, The Oars has stepped into their latest project to serve the senior community. The City of Citrus Heights, Quantum Care Place CH, LLC. 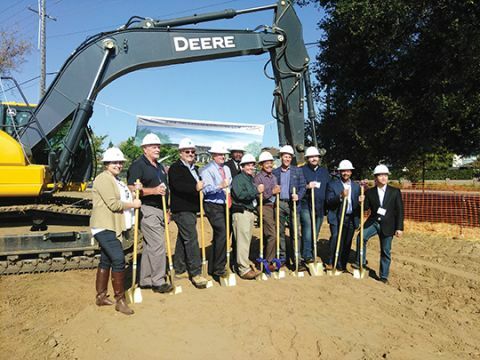 and The Oars Senior Living announced their partnership’s first senior living development in the groundbreaking of The Oars at Greenback Lane, a senior living community located at 6550 Greenback Lane in Citrus Heights, California. The company anticipates an approximate 10 month build time with prospective opening early fall 2019. The 32,000 sq. ft. community will offer assisted living as well as memory care and provide a specially designed footprint that maximizes resident observation for increased safety and engagement. The project is a collaboration of local experienced and tenured senior living experts looking to provide therapeutically designed programs for seniors. There is an established need for good Person Centered Care and The Oars offers a fresh perspective of methods for achieving these goals. “We look forward to providing excellent care to our future residents and an inspired work environment to our future team members” said Pepper Bell, Senior Director of Operations. Pepper will also serve as Executive Director at the location.